Shadow of Babel was only the beginning. Hunt or be hunted, all the while knowing that your actions have greater consequences. Will you liberate humanity or perpetuate its oppression? The war between Raxxon and A.R.K. continues in Specter Ops: Broken Covenant. From prolific designer Emerson Matsuuchi comes the next thrilling installment in the Specter Ops universe. Return to the innovative and engaging hidden movement gameplay of the original Specter Ops: Shadow of Babel. In Specter Ops: Broken Covenant, a lone A.R.K. agent must attempt to infiltrate a scientific facility hidden away deep within the jungles of South America and long abandoned by Raxxon. With the help of advanced equipment supplied by A.R.K., as well as their own unique ability, they must retrieve three mission targets and escape. 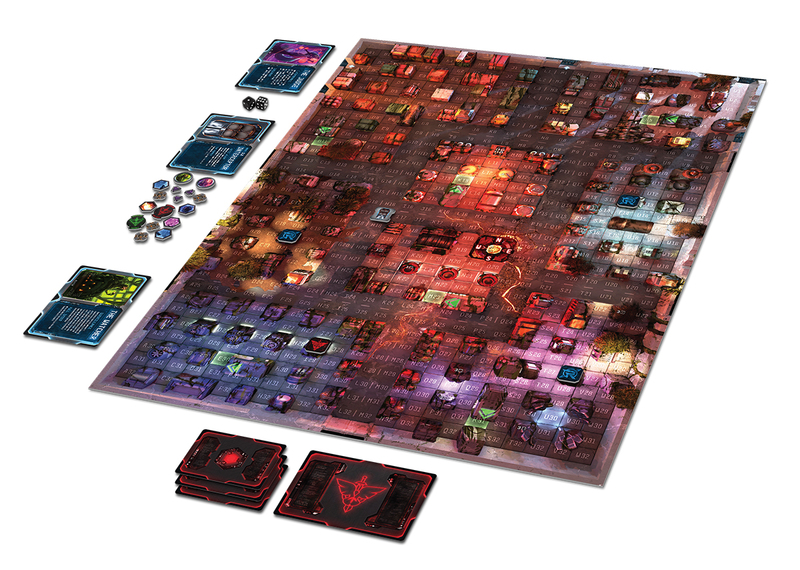 Each turn, the agent player will secretly mark their position on the game board as they work their way closer to the mission targets scattered throughout the facility . In addition to equipment cards and unique ability, the agent can use a series of supply caches on-site to complete their objective. Raxxon has no intention of making things easy for the agent player. A team of two or more genetically modified hunters will be looking for clues of the agent’s trail or signs of activity in an attempt to locate and dispatch them. Each superhuman hunter possesses unique abilities designed for hunting their prey, but the true danger lies in their teamwork. Together, they’ll need to systematically determine the agent’s location and cut off any escape path. Fans of the original Specter Ops will enjoy discovering the new agents, hunters, equipment cards and gameboard. These are all fully compatible with the previous version, but new additions such as the Interceptor and supply caches will offer even more variety in gameplay! Combine both versions for even more options in the struggle between Raxxon and A.R.K. 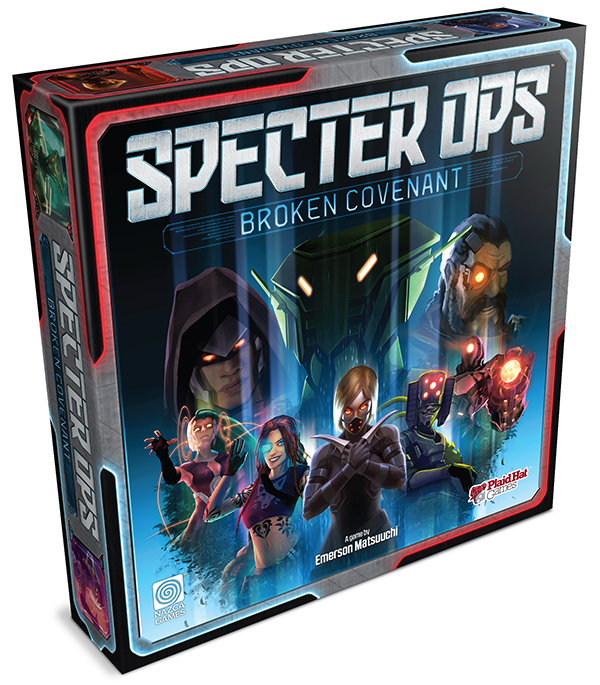 Specter Ops: Broken Covenant offers an all-new way to experience the streamlined stealth action adventure of hidden movement, strategy and deduction. Plot your moves in secret or hunt down the intruder. Remember, there’s no room for error. It’s hunt or be hunted.